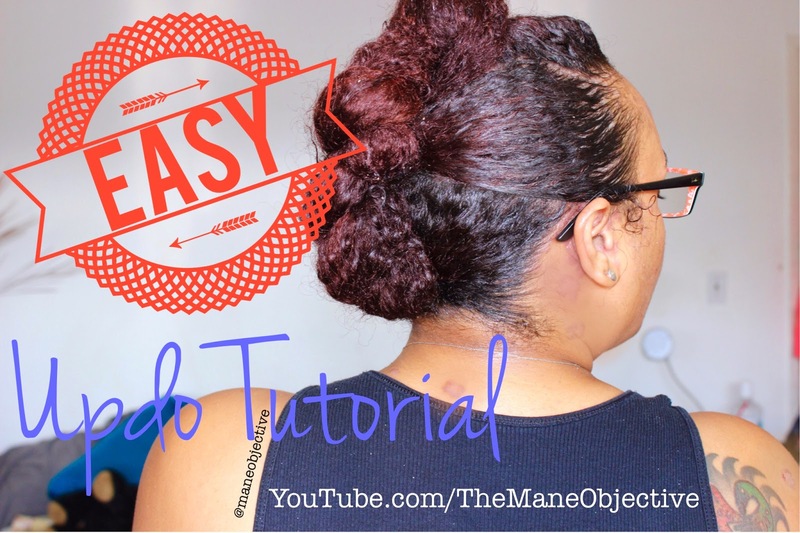 The Mane Objective: EASY Updo for Natural Hair (Zero Skill Required) -- Great for Transitioners, Too! EASY Updo for Natural Hair (Zero Skill Required) -- Great for Transitioners, Too! I asked a while back on Instagram if you guys were interested in my easy updo tutorial, and the answer was YES! So here it is, in all it's splendor (lol). To replicate my easy updo all you need is a moisturizer of choice, oil to seal, an edge tamer (optional), a soft bristle brush, scrunchies, and a few bobby pins. Oh, and some sub-par twisting and rolling skills. That's it! You can complete this look in 5 minutes or less! This style is perfect for on-the-go protective styling, and can be done on natural or transitioning hair! Thank you for watching! Don't forget to like this video, comment, subscribe, and share with a curlfriend! Disclaimer: I was not paid to promote any of the products in this video. All products featured and mentioned were purchased with my own money.